Product prices and availability are accurate as of 2019-04-22 01:27:03 UTC and are subject to change. Any price and availability information displayed on http://www.amazon.com/ at the time of purchase will apply to the purchase of this product. Built to withstand the knocks of learning. 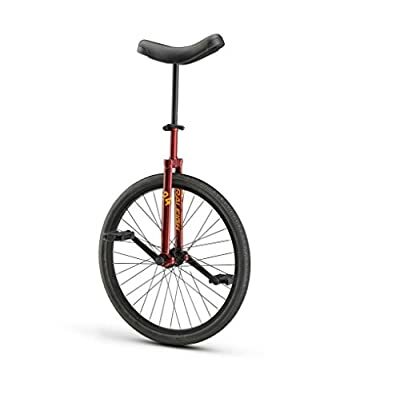 The quality construction and components of the Unistar unicycle is the perfect choice for your first unicycle experience. Available in 16", 20" and 24"
Lightweight chromoly frame Saddle features a front grab handle and rear scuff guard. Alloy wheel with sealed bearings.